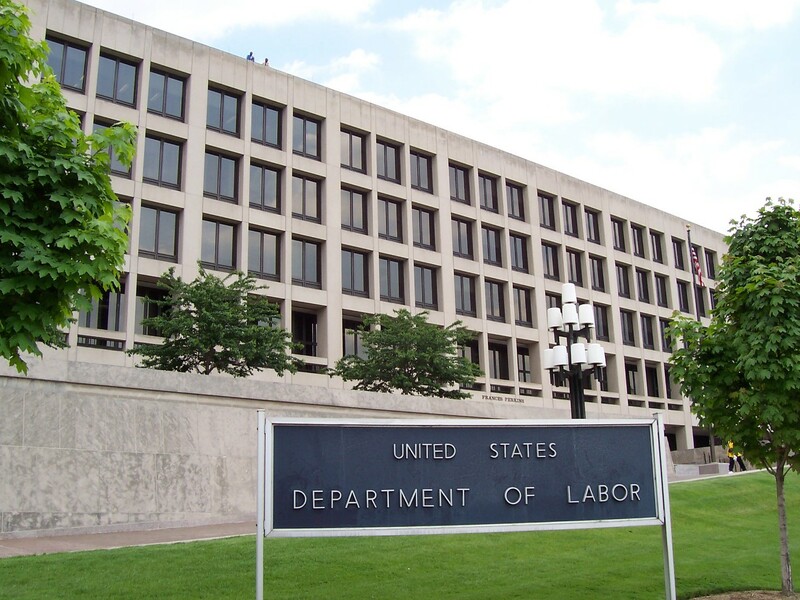 The ARB summarily affirmed the Principal Deputy Administrator’s determination that the Employer did not violation the Service Contract Act by refusing to promote workers employed as flight service specialists and pay a higher wage. The ARB dismissed the Complainant’s administrative FRSA complaint because it received notice that the Complainant had filed a de novo action in the U.S. District Court for the Eastern District of Michigan as authorized by 49 U.S.C.A. 20109(d)(3). In Walia v. The Veritas Healthcare Solutions LLC, ARB No. 14-002, ALJ No. 2013-LCA-5 (ARB Feb. 27, 2015), the ARB found that the ALJ did not abuse her discretion is dismissing the Complainant’s H-1B complaint based on the Complainant’s repeated failures to respond to discovery orders and insufficient justifications for his failures. The ARB noted that the ALJ had explained the discovery regulations to the Complainant and repeatedly warned him of the potential consequences of failing to participate in discovery; had taken into account the Complainant’s pro se status and provided leniency given his lack of legal training; and had issued an order to show why the complaint should not be dismissed due to repeated failures to comply with discovery orders, warning that failure to respond could result in dismissal of the complaint. The ARB noted that ALJ had dismissed for failure to respond to the order to show cause. The record contained an 8 page fax, and it was unclear whether the ALJ had not received the fax, or had received it but considered in not responsive to the order to show cause. The ARB reviewed the fax and found that it was largely incomprehensible, and did not provide a justification for not participating in discovery except for a rehash of an argument previously rejected by the ALJ. The ARB found that even if the fax was considered a response to the order to show cause, the dismissal was affirmed because it neither addressed the order, nor demonstrated good cause for repeated failure to participate in discovery. The ARB noted authority to the effect that if the decision below is correct, it must be affirmed even though the court below relied upon a different reason. The ALJ cited to Societe Nationale Industrielle Aerospatiale v. U.S. Dist. Ct. for S.D. Iowa, 482 U.S. 522, 541 (1987), for the proposition that while the Hague Convention rules apply to discovery requests of foreign litigants, the Hague Convention was not meant to be the exclusive means of prehearing discovery but rather an optional procedure when its procedures provide a better alternative than local rules to international evidence issues. Id., slip op. at 2. The ALJ ruled that Walia failed to show that the Hague Convention should apply to Veritas’s discovery requests. Id. In Smith v. Duke Energy Carolinas, LLC, ARB No. 14-027, ALJ No. 2009-ERA-7 (ARB Feb. 25, 2015), the ARB had remanded the matter to the ALJ to make a determination whether the Respondents established by clear and convincing evidence that the adverse actions against the Complainant would have taken place in the absence of the Complainant’s protected activity. The Complainant was employed by a contractor to Duke Energy as a firewatcher. Firewatchers were required to inspect affected areas and to follow proper procedures for maintaining firewatch log books. The Complainant noticed discrepancies in the log book when logging in for a shift, including signatures for a firewatcher after she had logged out and blank signatures for an inspection time. The Complainant asked a departing firewatcher about them. He replied that his co-firewatcher had left early but that he had completed her shifts. The Complainant said that the departing firewatcher must correct the log or he would report the discrepancy. The other firewatcher agreed, but only added his name to blank inspections spaces. He did not correct the spaces for which the early-departing firewatcher pre-signed. Later, the firewatcher who had left early told another worker that the Complainant had been spreading rumors about her, and that she would get back at him by reporting that the Complainant had been sexually harassing her. When confronted by management about the sexual harassment complaint, the Complainant denied the allegation and proffered that the alleger had made the complaint because of fear that the Complainant would disclose that she had pre-signed the firewatch log. Following an investigation, the Complainant was discharged by the contractor on the ground that the Complainant’s failure to report the falsification of the firewatch logbook until confronted with a sexual harassment charge raised significant integrity and trustworthiness issues. Duke Energy later denied the Complainant’s unescorted access authorization with an unfavorable characterization. The ALJ determined that the Respondents proved by clear and convincing evidence that “they would have taken the same adverse personnel actions if they had learned of [the Complainant’s] seven day delay in reporting the firewatch falsification, and the circumstances of that disclosure, through some means other than the contents of his protected activity.” The ARB affirmed the ALJ’s decision in a split decision. The lead opinion noted that the ALJ issued his Decision and Order on Remand three months prior to the ARB’s decision on “clear and convincing evidence” in Speegle v. Stone & Webster Constr. Inc., ARB No. 13-074, ALJ No. 2005-ERA-006, slip op. at 12 (ARB Apr. 25, 2014), but that the ALJ had analyzed the case using MSPB authority that used analysis like that in Speegle. The lead opinion found that substantial evidence supported the ALJ’s decision based on (1) evidence that that NRC regulations require that information given to it be “complete and accurate in all material respects,” that Duke Energy had issued a directive for complying with the NRC regulations by requiring the firewatcher log to be filled out by the person currently responsible for the fire watch tours, and that the contractor’s safety manual required workers to promptly report safety concerns to managers and provided that failure to do so was grounds for discipline that could include termination; (2) the contractor’s manager’s testimony about the importance of filling out firewatch logs correctly and his determination that the Complainant’s failure to report the discrepancy was an integrity issue, and the Duke Energy manager’s testimony that the discrepancy was a serious matter and his belief that the Complainant should have at least informed the “Single Points of Contact” supervisors; (3) undisputed evidence that about 18 months after the incident, the NRC imposed a Notice of Violation on the Duke Energy stemming from the firewatch reporting discrepancies; and (4) evidence demonstrating that that the Complainant was treated the same as the two other firewatchers involved in the incident, both of whom were fired, and that the contractor had fired another worker for failing to report yet another worker’s violation of a company rule. Protected activity will not shield an under-performing worker from discipline. See, e.g., Formella v. U.S. Sec’y of Labor, 628 F.3d 381, 391-93 (7th Cir. 2010); Kahn v. U.S. Sec’y of Labor, 64 F.3d 271, 279 (7th Cir. 1995) (“We have consistently held that an employee’s insubordination toward supervisors and co-workers, even when engaged in a protected activity, is justification for termination.”). As a general matter, the whistleblower statutes the Department of Labor enforces “render whistleblowers no less accountable than others for their infractions or oversights.” Daniel v. Timco Aviation Svcs., Inc., ALJ No. 2002-AIR-026, slip op. at 25 (June 11, 2003). “It ensures only that they are held to no greater accountability and disciplined evenhandedly.” Id. ; see, e.g., Abbs v. Con-Way Freight, Inc., ARB No. 12-016, ALJ No. 2007-STA-037, slip op. at 6, n.5 (ARB Oct. 17, 2012) (“Certainly, the undisputed evidence of Abbs’ falsification of the log book and payroll record is ‘clear and convincing evidence that [Con-Way] would have taken the same adverse action in the absence of the protected conduct.’”). One member of the ARB concurred with the lead decision, emphasizing that failures to adhere to safety concerns in the nuclear plant industry (such as certifying that fire watches were in fact performed), “are serious concerns regardless of whether such failures are a subject of protected activity or an employer’s basis for discipline.” Id. at 12. The concurring member also noted that in this case the Respondent had clear and undisputed reasons for doubting the Complainant’s integrity, and not ambiguous and subjective reasons. The record as a whole supports the ALJ’s finding that Respondents proved by clear and convincing evidence that they would have fired Smith over the fire watch and integrity issues. Consequently, despite the Board’s previous finding that Smith’s reporting was inextricably intertwined with the unfavorable employment actions, the statutory law expressly requires the ALJ to consider a hypothetical scenario when considering the employer’s affirmative defense: what Respondents would have done in the absence of Smith’s reporting. The difficulty lies in deciding how much hypothesizing to do with the facts. In this case, the ALJ did not need to hypothesize too much because, if he assumed only that Respondents discovered the violation another way, Respondents’ actions against Smith’s co-workers demonstrate how seriously Respondents treated the safety issues in this case. Id. at 13 (footnote omitted). One member of the ARB dissented, finding that the Complainant had been fired for telling the truth. This member found that the Respondent had not shown by clear and convincing evidence that the Complainant was untrustworthy. The member wrote that: “an employer’s subjective determination of ‘unsatisfactory trustworthiness’ as a basis for termination is almost by definition ‘ambiguous.’” The dissenting member found that the ALJ had not performed the analysis in the manner required by the Speegle decision, because each of the principal reasons supporting the Respondents’ affirmative defense were based on the content of the Complainant’s protected activity of reporting the logbook discrepancy. The dissenter recognized the difficulty of literally applying the statute. The dissenter noted that the Complainant had not delayed reporting a missed fire watch, but only reporting a technical inaccuracy in the fire log, and that the seriousness of the delay found by the ALJ was not sufficiently supported by the record. The dissenter also questioned whether the Complainant had deliberately failed to report, given that the co-worker had agreed to correct the log. The dissenter noted that the sexual harassment complaint was itself retaliation for protected activity, and cited authority to the effect that an employer may be held liable for the actions of lower level supervisor who influences a higher level official’s decision to take adverse action. Finally, the dissenter questioned whether termination was proportional to the justification for the adverse action, there being no evidence of another employee terminated for delaying in reporting a log discrepancy. In Petersen v. Union Pacific Railroad Co., ARB Nos. 13-090, 14-025, ALJ No. 2011-FRS-17 (ARB Feb. 20, 2015), the Respondent challenged the ALJ’s supplemental decision on attorneys’ fees on the grounds that the hourly rates awarded by the ALJ for the Complainant’s two attorneys were not supported by substantial evidence, that there were redundancies in hours billed because of the lead attorney’s illness on the second day of the hearing, and some hours were duplicative because both attorneys attended the hearing. The Complainant’s counsel argued that the Respondent’s arguments should be rejected because the hourly rate for the co-counsel was supported by the rate awarded in a different ALJ decision; the time spent on the case due to the lead counsel’s illness was reasonable and necessary; there was no evidence that the illness was exaggerated or the result of bad faith; and the ALJ found that both counsel had meaningfully participated in the hearing. The ARB employed an abuse-of-discretion standard of review, stated that it was persuaded by the Complainant’s arguments, and approved the ALJ’s fee and costs award for work before OSHA and the ALJ. In Sewade v. Halo-Flight, Inc., ARB No. 13-098, ALJ No. 2013-AIR-9 (ARB Feb. 13, 2015), the Complainant was a helicopter pilot for the Respondent. The ALJ determined that the Complainant had not engaged in protected activity, finding that none of the issues that the Complainant raised involved safety issues or that the Respondent was “condoning” safety issues in violation of FAA rules or regulations. Regarding a fuel system transfer light issue, the ALJ found that the aircraft’s safe operation was not involved, and that the Respondent’s Director of Operations “cured any alleged improper conduct” when he admitted wrongdoing and apologized for pressuring the Complainant to fly when she was not comfortable doing so. Regarding an aircraft pitching issue, the ALJ found that the problem did not involve an FAA violation. The ALJ did not address two other allegations of protected activity by the Complainant. The ALJ incorrectly analyzed the issue whether Sewade engaged in protected activity. First, an employee need not prove an actual FAA violation to satisfy the protected activity requirement where (1) the employee’s report or attempted report is “related to a violation or alleged violation of an FAA requirement or any federal law related to air carrier safety, and (2) the employee’s belief of a violation is subjectively and objectively reasonable.” Second, an employer cannot “cure” protected activity or erase that it occurred by admitting to wrongdoing, by apologizing, or by agreeing with the employee about a safety concern. When an employee makes a protected complaint, the employer’s response (positive or negative) does not change that AIR 21 protected activity has occurred. Third, finding protected activity does not depend on whether an employer “condoned” safety problems or FAA violations as the ALJ seems to have required. Finally, the AIR 21 whistleblower statute does not require that protected activity relate “definitely and specifically” to a safety issue. USDOL/OALJ Reporter at 8 (footnotes omitted). Reviewing the evidence of record, the ARB found that the transfer lights were designed to indicate that the aircraft was ready to fly, but had not been turning on consistently; that the Complainant was the pilot in command and did not feel that the helicopter was safe to fly and had so reported; and that it was undisputed that the lights were not working and that the Complainant had reported about them because she subjectively believed that there was a safety violation. The ARB also found that the Director of Operations’ statement that there would be no violation of FAA rules or regulations for the Complainant to fly the helicopter “once the fuel transfer lights [turned] on and off as expected” suggested that there may have been a violation before the lights worked as expected. The ARB found that the Complainant’s report and refusal to fly were each protected activity under AIR21, even if the Director of Operations agreed with the Complainant’s concern and her decision not to fly unless the lights came on. The ARB further found that the Director of Operations apology for pressuring the Complainant to fly was additional evidence of the objective reasonableness of the Complainant’s belief about the safety issue. Thus, the ARB reversed the ALJ and found that the record established that the Complainant’s report of the faulty fuel transfer lights, and related refusal to fly, were protected activity under AIR21. The ARB remanded for further factfinding on the other alleged instances of protected activity. In Sewade v. Halo-Flight, Inc., ARB No. 13-098, ALJ No. 2013-AIR-9 (ARB Feb. 13, 2015), the Complainant was a helicopter pilot for the Respondent. A meeting was held with management to discuss the Complainant’s concerns about a mechanic who was allegedly angry because of the Complainant’s protected activity. The Complainant was afraid for her safety. She had reported the mechanic’s abusive conduct toward her and alleged that he had threatened her. The Respondent’s Director of Operations asked the Complainant what she thought would resolve the situation, and the Complainant suggested a shift change so she would not be working with the mechanic. The Director of Operations told the Complainant that she could switch schedules with her husband (who was also a pilot for the Respondent). The Director of Operations then engaged the Complainant in a counseling session about her negative and complaining attitude, inconsistent behavior toward regulatory items, and other matters. The Director of Operations ended by giving the Complainant a verbal warning, later memorialized in writing in the Complainant’s personnel file because of the Complainant’s threat to get a lawyer and bring a claim against the Respondent. After the meeting, the Complainant emailed a resignation, stating that the verbal reprimand had been discriminatory and retaliatory, and that she had been singled out. The Complainant pointing out that all of the infractions noted were attributable to all of the pilots at the base where she worked. She stated that the schedule change would not help because the mechanic would still have access to work on her helicopter. The Director of Operations was shocked by the email, and told the Complainant’s husband that if the Complainant wanted to rescind the resignation, he would consider it. The Complainant never asked to return to work, and emailed the Board of Directors to state that she had initiated litigation against the Respondent for creating a hostile work environment. After a hearing, the ALJ determined that the Complainant had not established that she had suffered adverse employment action, finding that the warning had not affected the terms, conditions or privileges of employment, and did not indicate that the Complainant would be subjected to progressive discipline that would lead to discharge. The ALJ also found that the Respondent did not constructively discharge the Complainant – that there was no evidence of abusive treatment, a reduction in pay, badgering, harassment or humiliation. On appeal the Complainant alleged three adverse actions: the shift change, which would have cost her a week’s worth of pay; the warning letter; and constructive discharge. The ARB first noted that it “regards ‘the list of prohibited activities in Section 1979.102(b) as quite broad and intended to include, as a matter law, reprimands (written or verbal), as well as counseling sessions by an air carrier, contractor or subcontractor, which are coupled with a reference to potential discipline.’” USDOL/OALJ Reporter at 10, quoting Williams v. Am. Airlines, ARB No. 09-018, ALJ No. 2007-AIR-004, slip op. at 10-11 (ARB Dec. 29, 2010). In regard to the shift change, the ARB noted that the ALJ had not addressed the issue, though it had been raised before him, and remanded for the ALJ to consider whether it was adverse action. In regard to the verbal warning, the ARB found that substantial evidence did not support the ALJ’s finding that the warning did not include a suggestion that the Complainant would be subjected to progressive discipline that would lead to discharge. Rather, the ARB noted that a tape of the counseling session established that the Director of Operations stated that the Complainant was not going to be fired, but that “if things don’t change, of course we might go to a different level….” USDOL/OALJ Reporter at 11 (footnote omitted; the footnote provided additional text of the recording). The ARB found that the meaning of “things” and “different level” were unclear, and that if the ALJ found “that these statements constituted coercion, threats or intimidation, then these statements would constitute a sufficient unfavorable employment action falling within the whistleblower statute as a matter of law.” Id. In regard to constructive discharge, the ARB noted that the ALJ had summarily disposed of the allegation, and that they would have understood this if the Complainant’s constructive discharge claim rested solely on the direct conduct of the Respondent’s managers. The claim, however, included the way the mechanic had allegedly mistreated her, and how the Director of Operations handled this situation. The Complainant had feared for her safety based on the mechanic’s access to her aircraft. The ARB wrote: “Thus, the question becomes whether co-worker harassment linked to whistleblowing activity can support a finding of constructive discharge under AIR 21. We see insufficient guidance under ARB precedent to decide this matter now, especially where the parties have not had sufficient opportunity to address this issue.” Id. at 12. The ARB noted that Title VII caselaw suggest that “the employer’s knowledge or constructive knowledge of retaliatory conduct and culpable failure to stop the retaliatory conduct could result in employer liability under Title VII’s anti-discrimination and anti-retaliation laws.” Id. (footnote omitted). The ARB noted that the relevant statutory language from Title VII and AIR21 were similar. The ARB remanded for the ALJ to consider the matter. The Complainant filed a motion for reconsideration of the ARB’s decision affirming the ALJ’s decision awarding back pay and compensation, but failed to show why the panel decision warranted reconsideration. The ARB determined that the Complainant’s request for en banc review stated insufficient grounds for review by the full Board. In Vyasabattu v. eSemantiks, ARB No. 10-117, ALJ No. 2008-LCA-22 (ARB Feb. 11, 2015), the Complainant was sponsored for an H-1B visa by the Respondent. Upon arrival, the Complainant was put up in a guesthouse. There was no job waiting for him. Rather, he was sent on interviews with the Respondent’s clients and required by the Respondent to be selected by one of clients before the Respondent would start to pay the Complainant. The Complainant went on several interviews but was not selected. The Respondent told the Complainant that if he failed to obtain employment with his next interview, he would be charged rent for the guesthouse. Instead, the Alien left to visit a brother in St. Louis and to try to arrange his own interviews. The Respondent told the Complainant that he would not be paid. A few months after the Complainant left the guesthouse, the Respondent requested the USCIS to revoke the I-129 petition for the alien worker. After USCIS revoked the petition, the Respondent attempted to contact the Complainant, but got no response. The Complainant filed a complaint with the Wage and Hour Division, which found no violation.. The Complainant then requested an ALJ hearing. The ALJ determined that the one year limitations period for filing a complaint commenced upon the Complainant’s departure from the guesthouse and the Respondent’s statement that he would not be paid. Because this was more than one year before the complaint was filed, the ALJ found that the complaint was untimely. The ALJ relied on Ndiaye v. CVS Store No. 6081, ARB No. 05-024, ALJ No. 2004-LCA-36 (ARB May 9, 2007), aff’d 547 F. Supp. 2d 807 (S.D. Ohio 2008), for the proposition that the limitations period begins on the date a complainant receives final, definitive and unequivocal notice of a discrete adverse employment action. The ARB reversed, noting that it was assuming that Ndiaye was correctly decided, and finding that the ALJ’s conclusion overlooked “salient and dispositive facts.” First, the ARB found that the Respondent had admitted that it had not fired the Complainant. Second, because the Respondent had never paid the Complainant, its statement at the time of the Complainant’s departure from the guesthouse that it would not pay him did not denote a change in employment status. The ARB also found that the ALJ had failed to consider email exchanges between the Complainant and the Respondent that muddied the water as to the Complainant’s employment status, including the Respondent’s having accepted a PO contract for one of the contractors for which the Complainant had worked. The ARB found that the “ambiguousness of the record” caused it to be unconvinced that the Respondent effected a final, definitive and unequivocal termination of the Complainant’s employment outside the limitations period. The ARB awarded the Complainant $135,000 in compensation plus interest. In Vyasabattu v. eSemantiks, ARB No. 10-117, ALJ No. 2008-LCA-22 (ARB Feb. 11, 2015), the Complainant was sponsored for an H-1B visa by the Respondent. Upon arrival, the Complainant was put up in a guesthouse. There was no job waiting for him. Rather, he was sent on interviews with the Respondent’s clients and required by the Respondent to be selected by one of clients before the Respondent would start to pay the Complainant. The ARB stated that the ALJ properly rejected the Respondent’s argument that because the Complainant had never started work with a client company, he never entered employment. The ALJ, citing 20 C.F.R. 655.731(c)(6), noted that an H-1B nonimmigrant is entitled to receive pay when he enters into employment, and that such happens when the nonimmigrant first makes himself available for work or otherwise comes under the control of the employer. Id. at 655.731(c)(6)(i); Vojtisek v. Clean Air Tech., Inc., ARB No. 07-097, ALJ No. 2006-LCA-9, slip op. at 10-11 (ARB July 30, 2009). In Mawhinney v. Transportation Workers Union, ARB No. 15-013, ALJ No. 2012-AIR-14 (ARB Jan. 21, 2015), the ARB dismissed the Complainant’s petition for an interlocutory appeal for failure to reply to the ARB’s order to show cause why the petition should not be dismissed. It was subsequently determined that the Complainant had, in fact, filed a timely response, and the ARB issued a decision on reconsideration denying the petition based on the Complainant’s failure to obtain certification from the ALJ of the issue for interlocutory appeal and failure to demonstrate exceptional circumstances sufficient to invoke the ARB’s interlocutory review of the issues presented.Mawhinney v. Transportation Workers Union, ARB No. 15-013, ALJ No. 2012-AIR-14 (ARB Feb. 3, 2015). The matter had been remanded to the ALJ, who deferred scheduling a hearing until the ARB ruled on a related pending appeal. The ALJ had ordered, however, that discovery proceed in the interim. The Complainant contended that the ALJ’s order denied him due process to reiterate or amend arguments concerning whether the named Respondents could be held individually liable, and had excluded the Complainant from input regarding ARB remand orders. The Complainant also alleged that the ALJ had engaged in ex parte communications with the Respondent and the Board. The ARB found that it could fully consider and dispose of both issues upon appeal of the ALJ’s final order in the case, should that be necessary. The ARB noted too that it is ”very reluctant to interfere with an ALJ’s control over procedural and discovery issues.“ USDOL/OALJ Reporter at 3, n.11 (citations omitted).